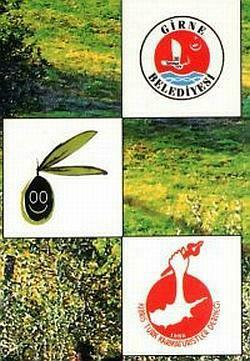 Folk dancing has very deep roots here in North Cyprus and in fact, across Cyprus as a whole. The rich history of this island means that its culture and arts such dancing have been influenced by many centuries and the traditions of the latter are being kept alive and well with folk dancing displays being given to the pubic on a regular basis. Attend any of the yearly festivals and you will no doubt be treated to a wonderful example of traditional dancing. Dances were usually performed on big occasions such as at weddings and harvest days, but because of their popularity with the visiting public, and due to efforts by local folk arts organisation HASDER, dancing has now become something of an international ‘sport,’ with folk dancing competitions taking place in TRNC in which countries from all over the world participate. HASDER, otherwise known as The Folk Arts Association, has been in existence since 1977 and is based in the centre of Lefkoşa. Originally with just a few members, the group’s aims are to promote Cypriot and Turkish Cypriot folklore through study, research and public participation. 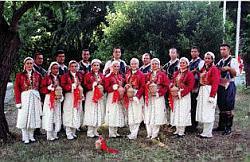 They are now recognised as the most prominent organisation in North Cyprus for everything related to folklore – from dancing to crafts – and they have done much to bring original traditions back to life and to the forefront of today’s culture, particularly through their strong connections within the youth community. North Cyprus has quite a large festival scene with events taking place almost all year round – apart from during the short winter months. In terms of culture and festivities, it’s fair to say that North Cyprus is on the international stage and that it boasts some unique and stunning musical venues such as the Bellapais Monastery, Kyrenia Castle and the Salamis Amphitheatre. These venues not only draw the crowds, they draw some significant names as well, and are famous for hosting both classical and modern music events. Prominent musicians take part in many of these events, and famous Turkish Cypriot national Turgay Hilmi, who himself is an artist of international fame, features heavily in the promotion of these events.